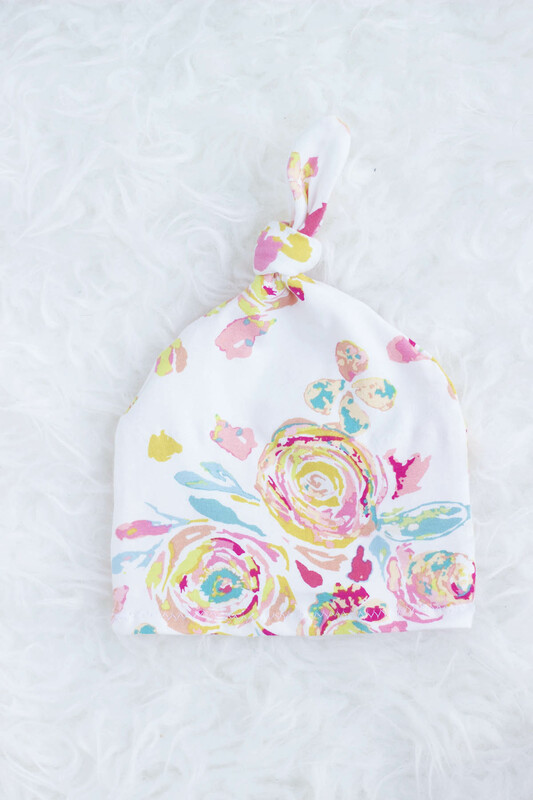 Introducing the newborn top knot beanie! 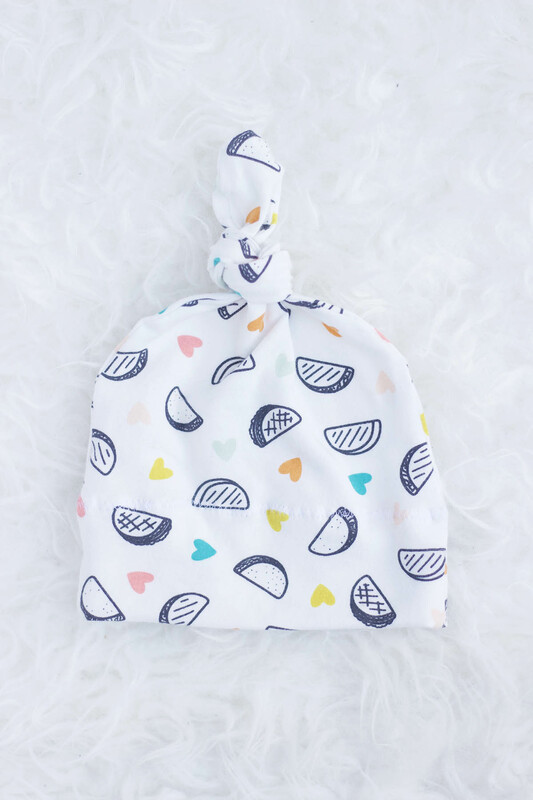 I have been wanting to make another baby beanie pattern for awhile now! I absolutely loved putting our little guy in these cute top knot beanies when he was a newborn, so I knew I had to add this to my list of patterns for 2019. My friend is having a baby girl soon which really gave me the push to make a few more baby-related patterns for you all. It is the perfect baby shower gift, if I do say so myself! With the extra fabric you will have, you can make some matching harem pants. The pattern and blog post all about the newborn harem pants can be found here. This PDF top knot beanie pattern comes with two options: 1) A Double Brim Beanie and 2) A Single Brim Beanie. The double brim beanie is essentially a two layer fabric cuff along the length of the ears. The pattern is for newborns (0-3 months) only. 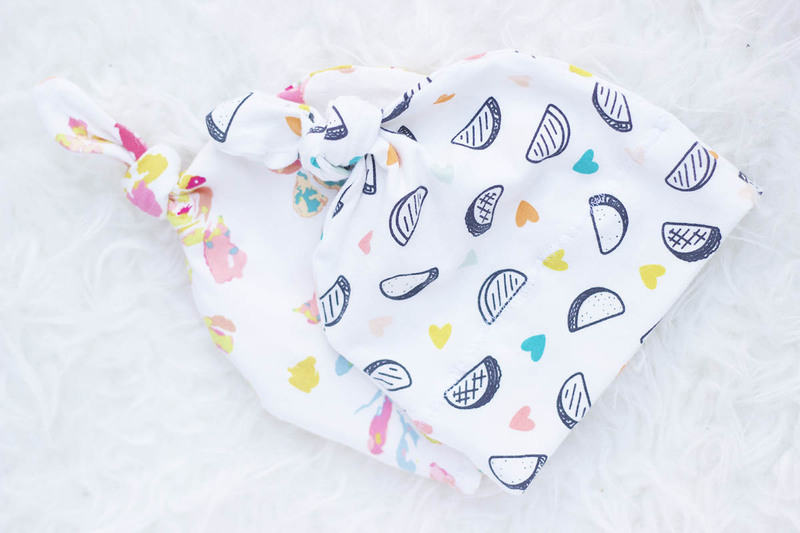 The fabric I choose for these top knot beanies are ultra soft and the prints were incredibly adorable. I purchased both knit fabrics from a Canadian store called Thread Count Fabrics. They have such a beautiful collection of knits from Art Gallery which is hard to come by up here in Canada! The floral print knit is called Fleet & Flourish – Swifting Flor Fond and the super fun Taco fabric is called Day Trip- Taco Love Light from Dana Willard for Art Gallery! I love how this pattern turned out! I often recommend that you practice sewing with knits on scrap fabric before sewing this top knot beanie. The fabric has stretch and moves when you sew, which makes it a bit more challenging to sew with than quilting cotton. 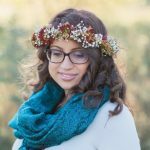 I also have a helpful blog post with tips and tricks for sewing with knits. I cannot wait to share these tiny baby clothes with my friend at her shower. 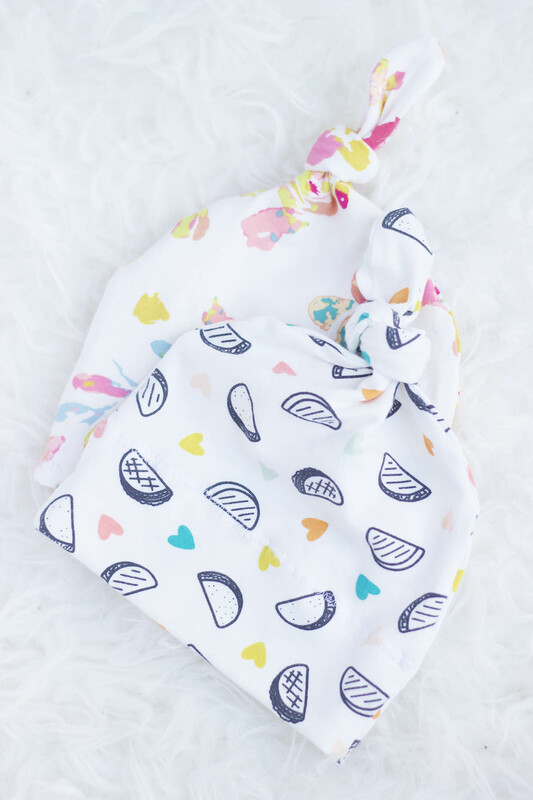 Stay tuned… because well, I have some oh so cute matching baby items heading your way in the next few weeks! 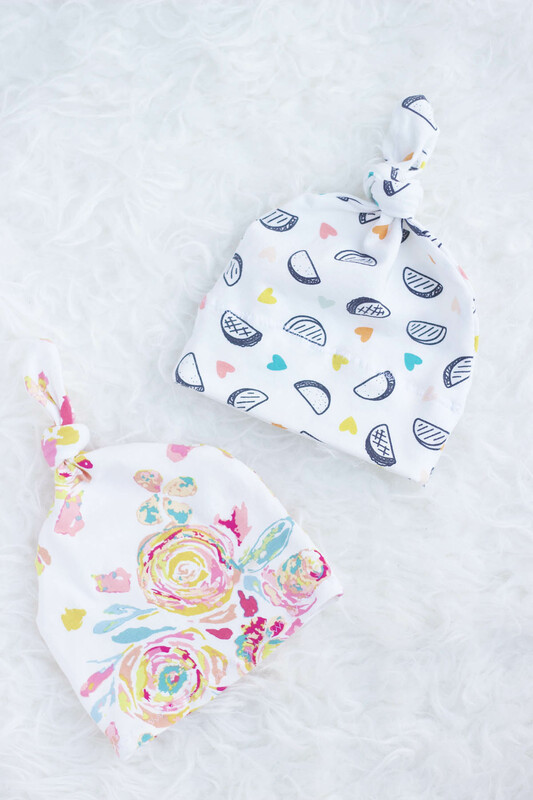 I hope you enjoy sewing these beanies for your little one, a baby shower or shop!